Culinary lavender has been known since Roman times for its healing and soothing qualities. Used for years in European cooking, Americans are now discovering lavender’s wonderful taste profile, it has the intriguing appeal of a good wine’s bouquet. 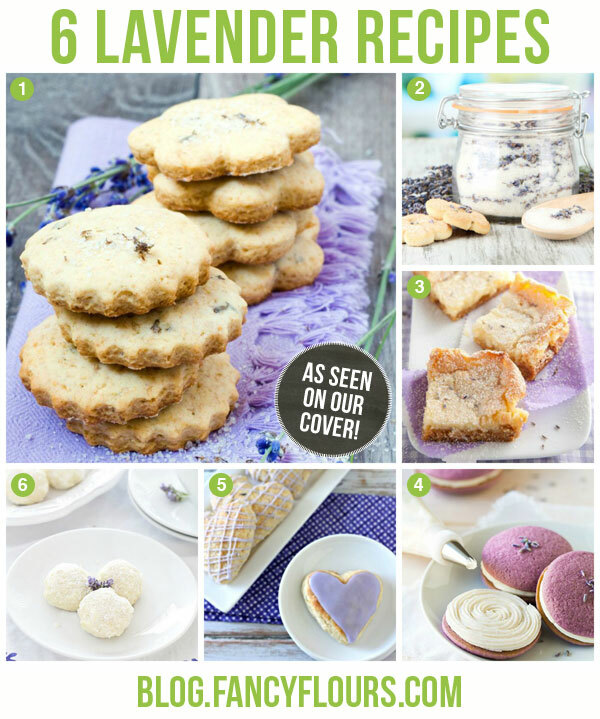 Lavender enhances dishes from desserts to cocktails with savory dishes in between. When cooking with lavender it is key to ensure using culinary/edible lavender and not lavender prepared for things like potpourri which can be treated with chemicals. Purchase our high quality culinary lavender here, imported from the Provence region of France. 2. Cream together the butter and sugar until light and fluffy, approximately 5 minutes. 3. Add eggs, lavender, flour, baking powder and salt to creamed butter and mix until combined. 4. Drop by teaspoon onto ungreased cookie sheet and bake for 10 minutes. Lavender Sugar has the light floral scent of lavender blended right into granulated sugar. It’s fast and easy to make this flavored sugar, and it makes a wonderful culinary gift or addition to your stash of baking ingredients. 1. Place the dried lavender in the bowl of a food processor and blend it for 10-15 seconds to chop it into small pieces. 2. Add 1 cup of granulated sugar to the processor and blend well, for 15-20 seconds, until the lavender is finely ground and mixed into the sugar. 3. Whisk the lavender sugar together with the remaining cup of sugar until the lavender is well dispersed. 4. Store Lavender Sugar in an airtight container at room temperature for up to a month. This entry was posted in Baking Inspiration, Cookie Recipes & Ideas, Easter Treats, Instructions & How-To's, Recipes & Tips, Spring Baking, Summer Fun Baking, Wedding Baking, Winter Baking and tagged baking with lavender, culinary lavender, edible lavender, lavender cake, lavender cookies, lavender sugar by Fancy Flours. Bookmark the permalink.